Sing Trek Support Nepal is a travel adventure that blends music, mountains and purpose. Now on our third singing trek, this has proven to be an extraordinary and memorable experience for all our participants to date. This November, our walking and singing adventure in Nepal will follow a custom-designed route in the Himalayan foothills close to Kathmandu. Beginning and ending in the beautiful medieval town of Bhaktapur not far from Kathmandu, we will travel to scenic Nagarkot and Dhulikel, follow the Buddhist pilgrim route to Namobuddha, visit schools and projects supported by Sacred Journeys Nepal Philanthropic Fund, and spend time in the beautiful lakeside town of Pokhara at the base of the Annapurna mountains. The tour is designed and managed by Sacred Journeys Nepal, a Nepali-Australian family run trekking company that specialises in tours that 'foster creativity, personal discovery, leadership, contribution and wisdom'. We invite you to join us for this two week trip where we combine singing with trekking in the stunning scenery of the Himalayas not far from Kathmandu. Each day includes some time learning songs together - be ready to share the music as you pass local communities! Cultural tourism like ours is a vitally important source of income for Nepal, and even more so since the destruction caused by the 2015 earthquake. ﻿﻿See below﻿﻿ for more information about how Sing Trek Nepal supports the rebuilding of schools and the education of orphaned girls. The cost of the tour cost will be AUS $4000 (early bird $3900), which includes almost all costs within Nepal. It does not include international flights to and from Kathmandu. People of all ages and reasonable fitness can manage the trek. Our tour leaders, Sacred Journeys Nepal, will provide guidance for our physical preparation for this joyful and magnificent experience. 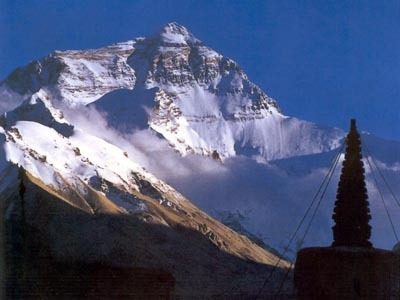 Nepal is a place of mystery and magic, with a rich history of spirituality and culture. It’s also one of the poorest countries in the world, with much work to be done to ensure people have their basic needs met. Sacred Journeys Nepal organises journeys that combine sacred sites, adventure, creativity, and contribution. Our intention is to use creative ventures such as singing, writing, and art to deepen the experience of travel, as well as finding ways to support local communities. Sacred Journeys Nepal is family run - the core team consists of Sanjaya Tripathee, his wife Serena Rix Tripathee, and Serena’s mum Susanne Rix in Australia. For Sing Trek Nepal, we teamed up with talented and creative musician and choir director Christine Wheeler to lead the musical aspect of the trip. As well as aiming to provide unique travel experiences for our clients, we are also deeply committed to socially responsible travel and to channelling funds to community projects. Our starting point is the men who work with us as porters - they become part of our extended family, and unlike many companies who overload porters and tolerate them sleeping in sub standard accommodation – we ensure that our team are well taken care of, comfortably accommodated during the treks, and not overloaded. We also have a small welfare fund for our porters so that in times of need – such as during the earthquake when the village where our team comes from was damaged, we could provide some financial support for rebuilding, and to keep their kids in school. Although we have always set aside a percentage of profits to donate, this became more formal after the 2015 earthquake. Many people whose hearts had been touched by Nepal were asking us, after the earthquake, to be a bridge in channeling support to those who most needed it. The role of large humanitarian organisations in a crisis is critical – but we also saw the need for smaller scale, grassroots, people to people support – where small donations can make a large difference. Thus our Philanthropic Fund was born. Since children are the future of the country, we decided to focus on projects that would positively impact children. An estimated 7000 schools were damaged in the quake – so supporting communities to rebuild schools in villages where we had worked in the past was our starting point. At the time of Sing Trek Nepal ‘16, our first school, fully funded by SJNPF, was being built at Halde, Kavre. Later in 2016/17, in partnership with World Youth International, a second school will be built, also in Kavre. As donations keep flowing, school by school we can make a difference in villages that were deeply impacted by the quake. Many children lost one or two parents in the quake – and, particularly for girls, this can mean the end of their education if the main breadwinner in the family is lost. Often girls end up in orphanages, brothels or as domestic workers. So we have established an informal scholarship fund to keep girls who lost a parent in school. It only costs $20 a month to keep a girl in a village school – changing her life forever. We have focused on several villages in the Kavre district where Sanjaya, through his role as national coordinator of World Youth International, has run community projects over the past decade. We partner with the local chapter of the Red Cross to ensure the work is community led and transparent. SJNPF is entirely voluntarily run, with overhead costs being covered by our trekking company – so 100% of people’s donations goes directly to community support. People who travel with Sacred Journeys Nepal indirectly support these projects - both because a proportion of profits goes to SJNPF, but also because when the business is successful, it enables us to spend more time sourcing and overseeing the community projects and scholarships. We are deeply humbled and grateful for the support we have received to date, and for our role as a bridge between travellers and Nepali communities. Thank you!